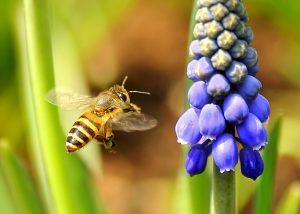 An international panel has selected the bees and beekeeping photographs for the 2018 Vita Calendar and voted for Leka Huie from Hong Kong as the overall winner for his colourful action photo of a honey bee in-flight approaching a flower. Entries will appear in the limited edition 2018 Vita Calendar distributed to Vita’s global network and the competition winners. Some of the photos are below and a pdf file of the full calendar is available for free download to users of the Vita Gallery www.vita-europe.com/beehealth/gallery. The international judging panel for 2017 was: Tiago Brás of HiFarmaX in Portugal, Bruce Clow of Ceracell in New Zealand, Svetlana Pantyukhina of Vita CIS in Russia, Miguel Tejerina of Apilab in Argentina, plus Paulo Mielgo and Alastair Taylor on behalf of Vita (Europe) in the UK. Sign up for the Vita Gallery (free) and download the 2018 Vita Calendar.